Alicia and Matthew’s wedding was at the Elmwood Park Zoo. They did a first look and it was great. They were such troopers having their photo session in the rain. But it was so worth it. 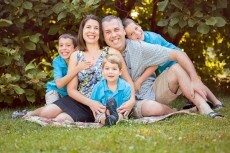 Look how awesome their images turned out. We visited the merry go round, the food stand and the giraffes. It was a perfect spot for a wedding images. Here are some of my favorite images. Enjoy! Here are a few of my favorite images form the session. Enjoy! These 2 boys were so much fun to work with. They had the best personality and we were laughing the entire session. And how cute is their little sister? She was adorable and the boys seem to just love her. We did get a crazy amount of fog that day. It make for some cool images. Here are some of my favorite images. Enjoy! Alicia and Matthew planned the coolest wedding at the Elmwood Park Zoo. But they didn’t plan for the rainy day they got. But I do believe that rain on your wedding day brings luck! And they were lucky enough to have the rain stop for their ceremony. It turned out beautiful. Matthew put his touch into their day with adding some super hero fun. Check out how cute this wedding turned out…rain and all! I can not believe that Rebecca is a senior this year. I have been taking Rebecca’s dance pictures for years now. I love working with her and her sister. They are just a lot of fun. And of course Rebecca’s senior session was fun too. She picked the location for her session. This bridge was important to her and it photographed great. I love that she is a dancer and does point. And I love the images of Rebecca in her point shoes. I am just so amazed whenever she poses for me. She is just always a dancer. Here are some of my favorite images. Enjoy!